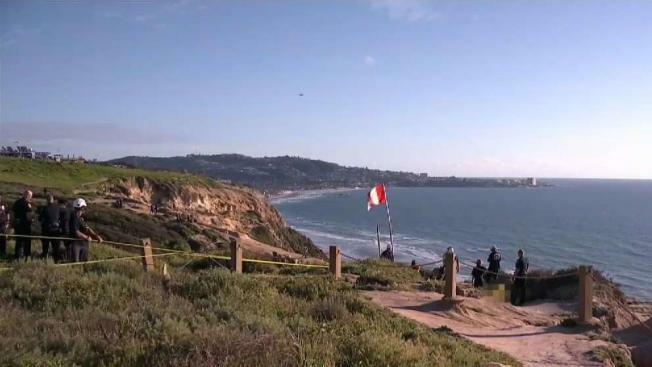 The San Diego and Orange County men killed in a paragliding crash Saturday afternoon at the Gilderport in Torrey Pines were identified Sunday. 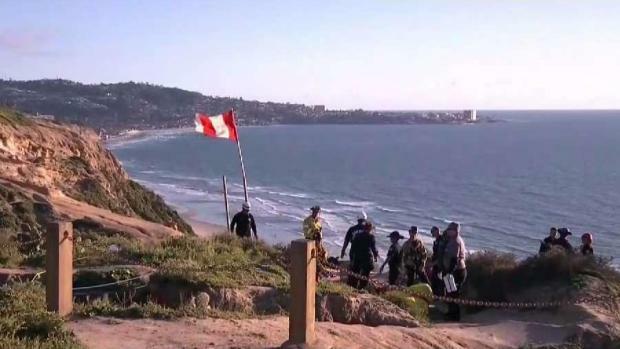 Glenn Johnny Peter Bengtsson, 43, of Carlsbad and Raul Gonzalez Valerio, 61, of Laguna Hills were killed when their gliders collided in mid-air around 2:40 p.m. Saturday, the San Diego County Medical Examiner's Office said. Their gliders became entwined and both fell around 75 feet onto the bluffs above Black's Beach, Lt. Rich Stropsky said. Bengtsson was an experienced pilot and Valerio was getting an advanced certification, he said. The gliders collided in mid-air. NBC 7's Erika Cervantes has the story. "Apparently what happened was the student individual was heading southbound and made a turn, a hard right turn right in this area where the flag is and ended up running into the other flyer that was in the northbound direction," Stropky said. The two were not flying together, he said. Rami Abuhamra was planning on hang gliding Saturday when he saw the crash. He said the ropes from both gliders became entwined and both gliders spiraled out of the control. "They started spinning out and they went into the mountain," he said. The two were pronounced dead at the scene. The recovery effort was especially challenging because of the terrain. Rescuers had to lower a first responder down to the victims via helicopter, Stropsky said. Both victims were experienced pilots and one of the men was from Orange County. NBC 7's Erika Cervantes has the details. 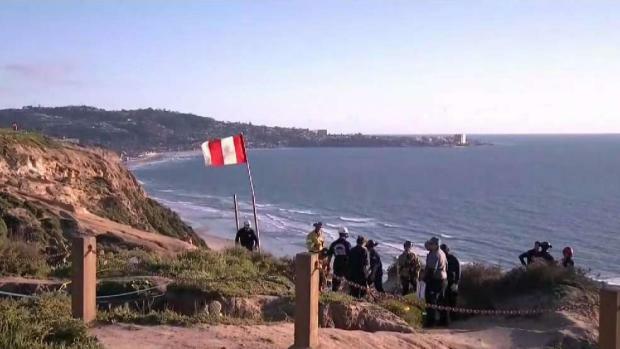 The victims were at the bluff's edge, caught on a knoll right at the edge of a vertical section of the cliff, he said. Rescuers then pulled the bodies up by hand and carried the bodies off the cliff. The San Diego County Medical Examiner's Office will lead the investigation and determine the cause of death, Stropsky said. The wind condition at the Gliderport was gusting around 9 mph that time of the crash, according to the National Weather Service. Fatal paragliding accidents are relatively rare, Stropsky said. The last known fatal accident in San Diego was in 2012, according to the NBC 7 news archive.